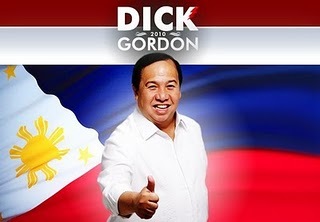 I would like to congratulate Sen. Aquino for his spectacular victory. I call upon this nation to unite and support him. I would like to thank everyone who supported me especially my volunteers and those who gave up their limited resources as a manifestation of trust in my brand of leadership and track record. I ran a very truthful, straightforward and candid campaign and thought we could run on the basis of our platform, track record and volunteerism. I would like to congratulate all the winners and pray that they serve our country well. We accept the will of the people. Today, we have a victory for democracy with the successful exercise of our first nationwide automated election despite naysayers and doubters. The fight for this country goes beyond this day. Let us forge on in building a Bagumbayan for our people. Original posts here and here.